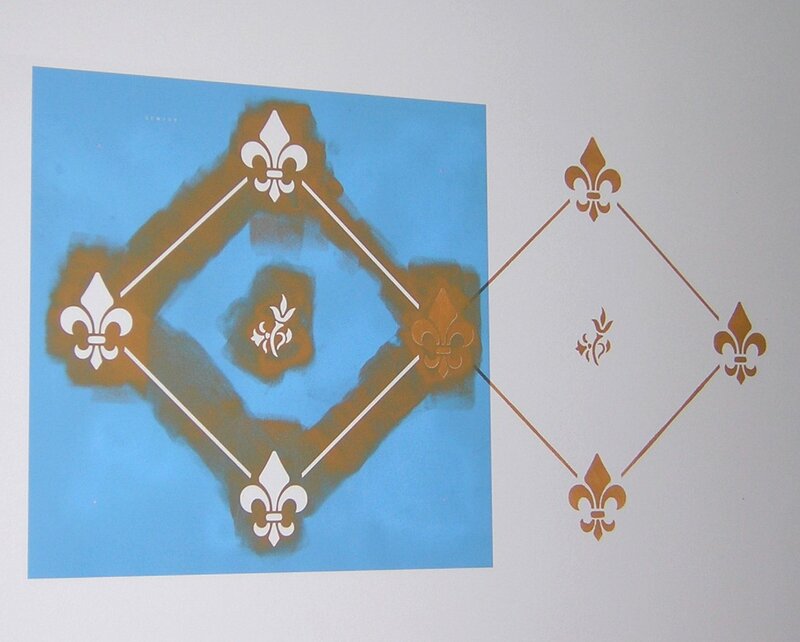 Spray the back of your stencil with spray adhesive. 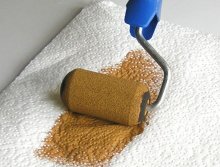 Allow adhesive to dry until it is tacky to the touch. 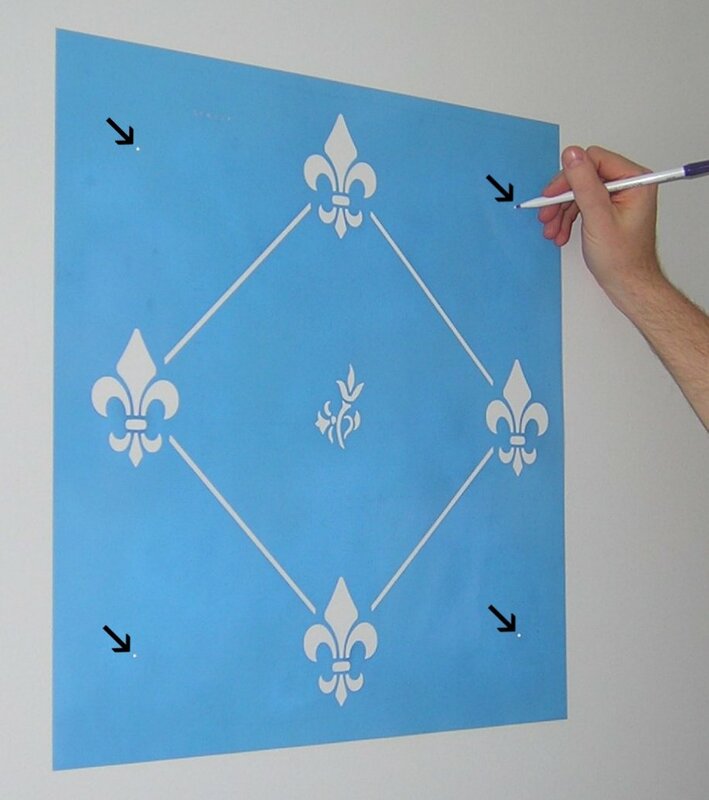 Place your stencil on your wall, using a level to ensure true horizontal placement. 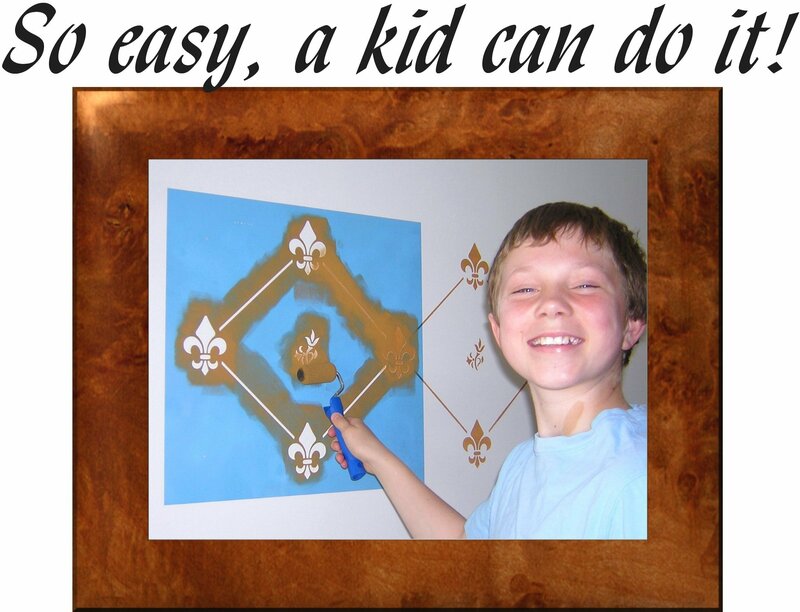 Using a light pencil, place a single dot in the center of all four triangle shaped registration marks. 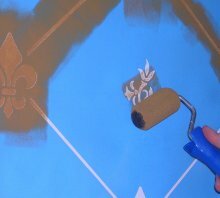 Apply paint to the stencil openings. 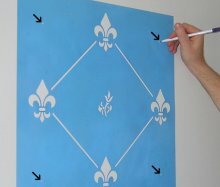 Carefully lift your stencil up and shift the stencil to the right or left, using the triangle registration marks and part of the design as a guide. 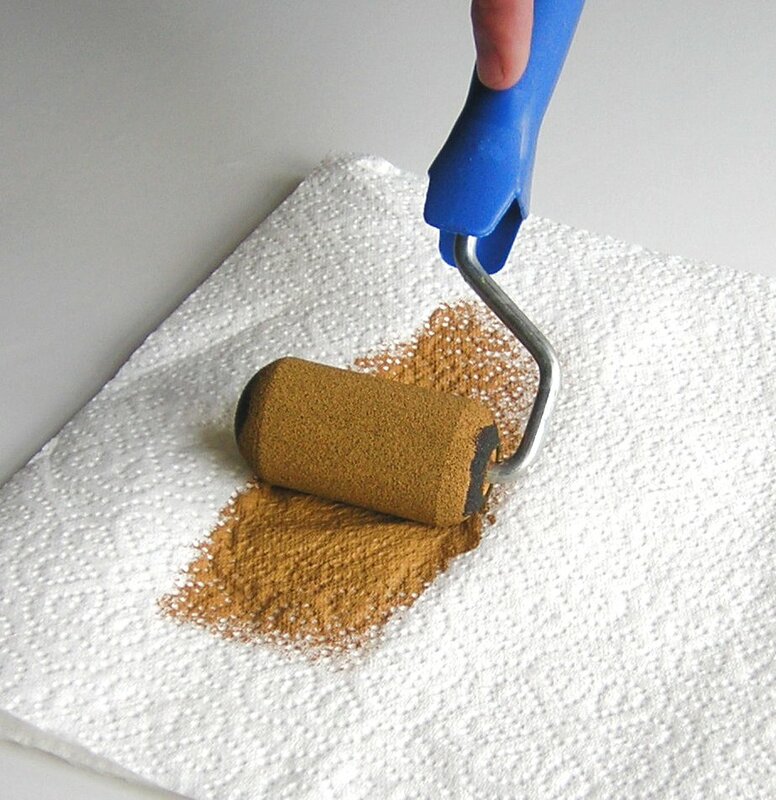 Repeat Step 3. 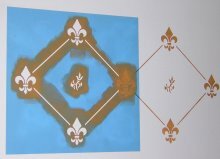 Remove stencil and shift. 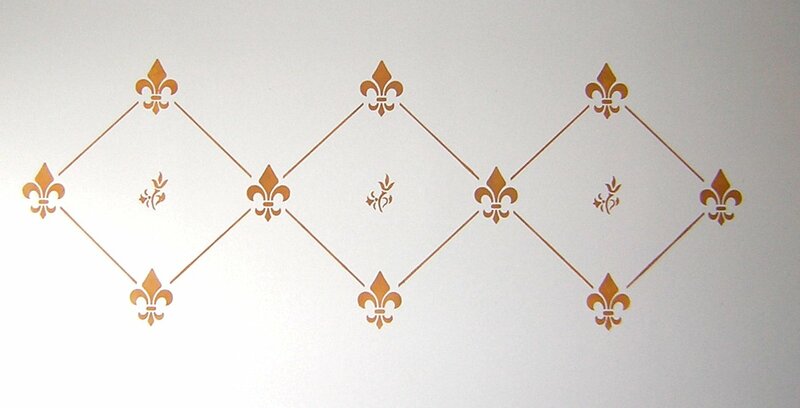 Continue in this fashion horizontally as well as vertically to cover your wall.